The well-crafted Khloe Glass Modern Side Table White adds a modern sophistication to highlight any living room.Due to its unique design, the Khloe The well-crafted Khloe Glass Modern Side Table White adds a modern sophistication to highlight any living room. Due to its unique design, the Khloe fits easily anywhere. 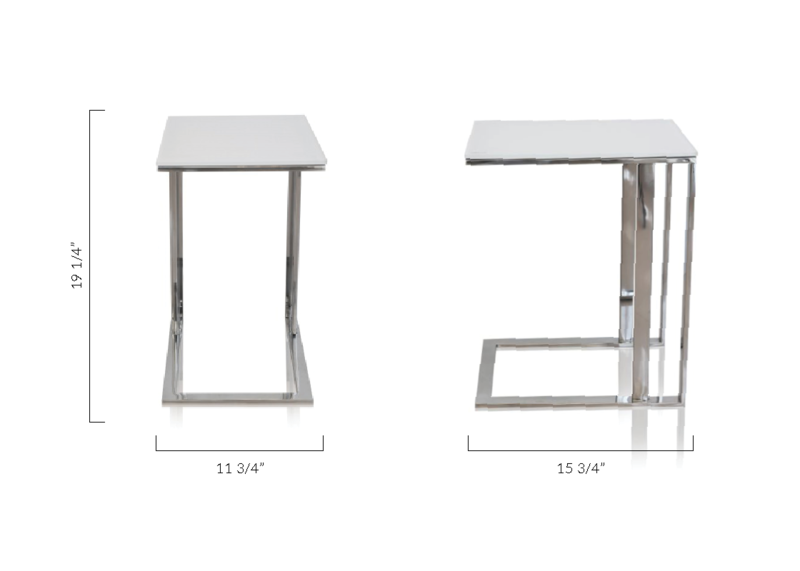 You will not be disappointed with the fascinating impression this table will give your house guests. Sleek chrome with a sharp design fits well with the white Phantom Sofa or with the Black Medusa Lamp. The well-crafted Khloe Glass Modern Side Table White adds a modern sophistication to highlight any The well-crafted Khloe Glass Modern Side Table White adds a modern sophistication to highlight any living room. L: 11 3/4" * W: 15 3/4" * H: 19 1/4"